Schooling Shows, Hunter Paces, and other riding events are tailored especially to meet the needs of our students, boarders, and local riders of all riding disciplines, providing some friendly competition in a fun, low-key, non-demanding, and safe environment. Our shows are not rated and include flat, trail, and fence classes for English and Western riders of all skill levels. All other events are designed to challenge riders and their horses to a variety of fun riding sports, from hunter paces to gymkhana games. 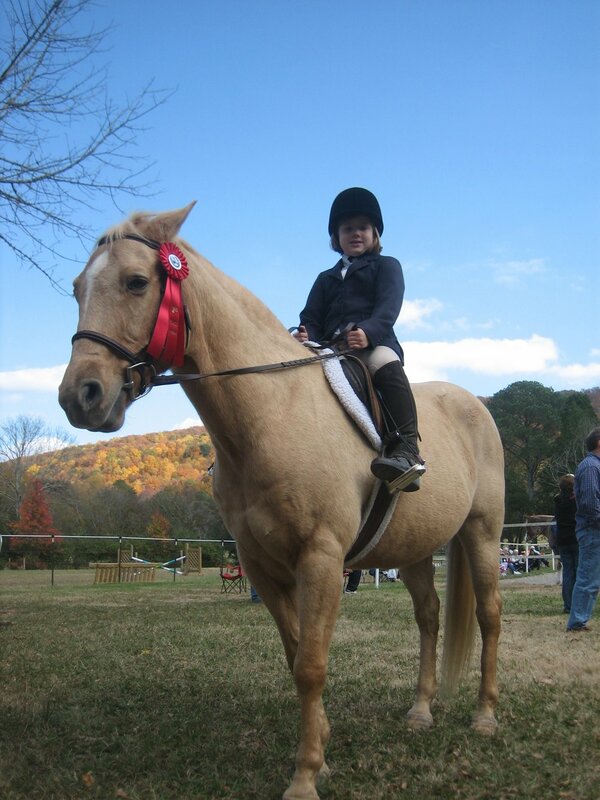 Points are given at most Hidden Hills horse events for Year End Awards. Each Schooling Show also awards High Point and Reserve High Point Champions. We keep track of all points accumulated throughout the year, and at the end of the year, the Overall High Point Champion and Reserve High Point Champion will receive a trophy. Points earned: Participation--5 points; 6th place--1 point; 5th place--2 points; 4th place--3 points; 3rd place--4 points; 2nd place--5 points; 1st place--6 points.